The apartment is located in the village of Teseguite, about 3 km from the ancient capital of the island. 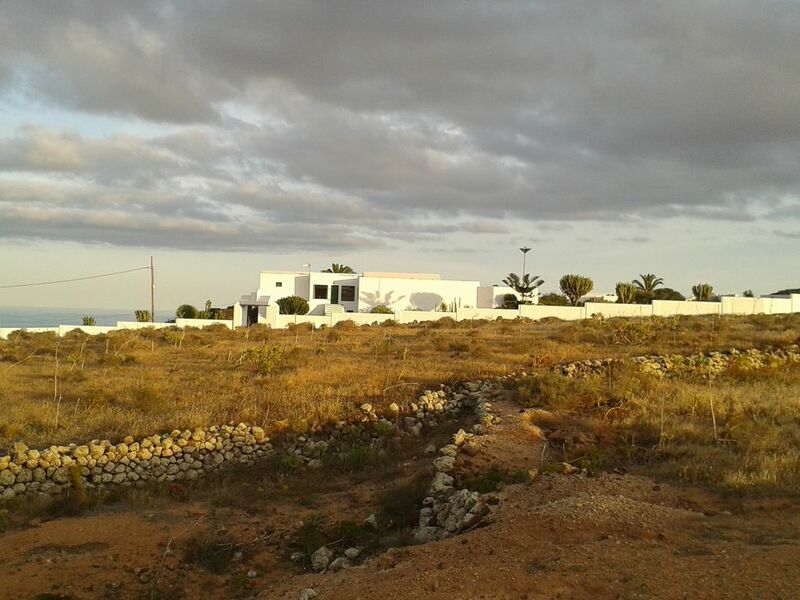 It is located on the mountainside and offers splendid views of the sea and the east coast of the island, surrounded by nature and away from areas used by passenger cars. It is ideal for lovers of hiking, paragliding, hang gliding, mountain location, etc. also available apartment for 4 people in the same villa. The house has two bedrooms, one with double bed and one with twin beds, a spacious living room, kitchen with dishwasher, two bathrooms, two terraces and garden of 5000 meters with pool. This property, in general is excellent for the price. However, we did suffer with small nipping ants in our beds at night in the downstairs bedroom, even though we did spray both in the room and on the adjacent terrace from which they seemed to originate. No food was consumed or present in this downstairs room. We have informed the owner and hopefully he will try to fix this problem which prevents us from fully recommending the property. nous avons beaucoup aimé la maison où nous sommes restés 8 nuits dans le duplex ( alaya2); décoration raffinée , une vue extraordinaire sur la mer et la campagne environnante grace à de nombreuses baies vitrées. Endrot très calme mais à 5mn de Téguise et 10 mn d'une belle plage . Noyus n'avons à cette période pas profité de la piscine , mais pris nos petitis déjeuners sur le balcon! Nous recommandons chaudement cette location où nous espérons retourner un jour! Une très belle semaine dans une île exceptionnelle ! Paysages multicolores fabuleux : plages sauvages, volcans bruts, maisons d’un blanc immaculé, palmiers etc. Merci Joaquin pour les conseils de petites randonnées sur les volcans. Météo décevante avec bcp de vent et de nuages, mais de belles éclaircies quand même. Maison Ayla 2 très fonctionnelle, un peu fraîche à cette saison. Il y a bien lave vaisselle + lave linge, mais le lave linge est accessible par l’extérieur et il faut payer 2€. Emplacement de la maison central sur l’île donc on peut facilement accéder partout. Nous avons été fascinés par cette île et y reviendrons certainement ! It is ideal for lovers of hiking, paragliding, hang gliding, mountain bike place, etc. also available apartment for 4 people in the same villa.